Are you feeling tired, irritable and under the weather? Have you been experiencing indigestion or skin breakouts? Have you had recurring headaches or joint pain that just won’t go away? Time for a body cleanse? Your body detoxes itself naturally, but sometimes the natural detoxification routes can get overloaded. When this happens your body may store foreign substances and toxins in the fatty deposits. Some people are actually carrying more than 10lbs in unhealthy toxic fat! 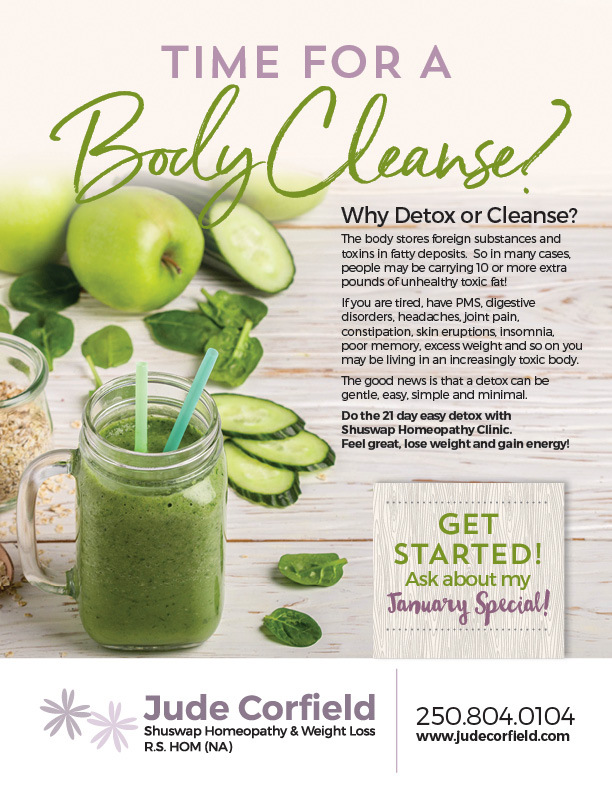 How can a detox help? This plan consists of homeopathic cleansing drops in combination with a specific clean eating plan. When a low-calorie intake is combined with the homeopathic drops the body is encouraged to cleanse the fatty deposits which store toxins. Feel great, lose those sugar cravings and get healthy!